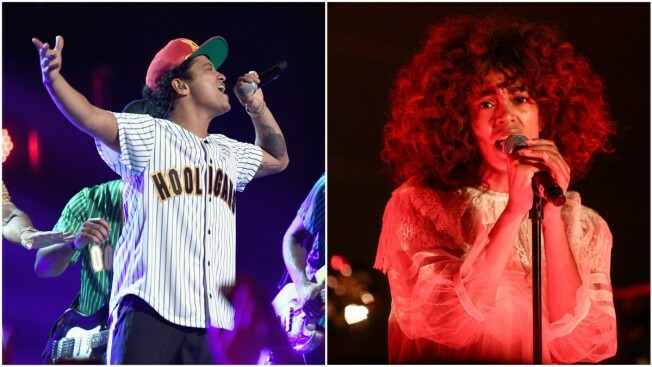 Bruno Mars and Solange will take center stage at this year's BET Awards. Solange is the most nominated artist for this year's edition of BET's Soul Train Awards. The younger sister of Beyonce has seven nominations, including best R&B/soul female artist and video and song of the year for her single "Cranes in the Sky." Bruno Mars has six nods, including song of the year for "That's What I Like" and album/mixtape of the year for "24K Magic." A pair of career achievement awards will be handed out at the Nov. 5 ceremony in Las Vegas. Toni Braxton will receive the Don Cornelius Legend Award and female R&B trio SWV will honored with the Lady of Soul Award. BET said Tuesday the artists are being honored for their longstanding careers and influence. The ceremony will air on BET on Nov. 26.